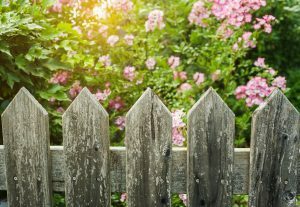 Home and garden tours are popular in cities and towns across America, but few are specifically designed to highlight the environmental benefits of the homes and gardens on display. Arlington County’s home and garden tour, now in its sixteenth year, offers a unique point-of-view that features aesthetic and environmental benefits associated with the enhancements to each owner’s property. 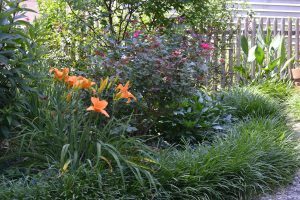 This year’s tour, scheduled for Sunday, June 3, 2018, from 1-5 p.m., will showcase some of Arlington’s most beautiful environmentally-friendly homes and gardens and access to experts on sustainable landscape management practices at the tour’s on-site registration location at Walter Reed Community Center. 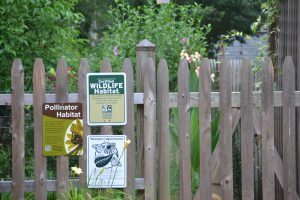 From rain barrels to rain gardens, wildlife habitats, solar power, energy-efficient technologies, new green homes, green renovations, and more, the 16th Annual Green Home and Garden Tour offers ideas big and small to help you create a healthier environment. One of the most effective ways to reduce our carbon footprint and improve the health of the planet is by changing how we manage energy and water use at home. According to the Union of Concerned Scientists household energy use accounts for about one-third of the total emissions for most households. The homes and gardens featured on the tour help homeowners diminish their impact on our environment, and some participants did so by taking advantage of county programs like Green Home Choice, StormwaterWise Landscapes, and the Solar Co-op. 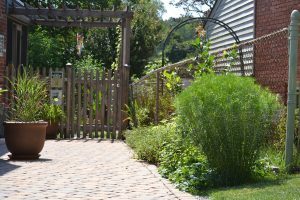 So, if you’re ready to sign up, register today for the 16th Annual Green Home and Garden Tour and check out a total of more than 12 homes and gardens. After you’ve registered and paid the nominal $5 fee*, you will receive the tour book by email on May 30 detailing the homes and gardens included in the tour. You can also register on-site at Walter Reed Community Center at 2909 S. 16th Street in Arlington on June 3 from 12:30 to 4 p.m. Experts will be on-hand at Walter Reed to answer questions and offer guidance on sustainable landscape management practices, native plants, stormwater management, soil nutrient management, tree planting, and energy conservation. The sponsors of the 16th Annual Green Home and Garden Tour are EcoAction Arlington (formerly Arlingtonians for a Clean Environment), the Arlington Department of Environmental Services (Arlington Initiative to Rethink Energy and the Green Home Choice Program), and Virginia Cooperative Extension. Got questions? Check out our FAQs below. *All proceeds benefit local conservation activities. Q1. Why can’t we see the list of homes before registering for the tour? A1. The addresses of the homes included in the tour are not published online to protect the privacy of homeowners who voluntarily participate in the tour. All pre-registered participants will receive the addresses of the tour locations and descriptions via email on May 30. Tour participants who register on-site at Walter Reed Community Center on June 3rd will receive a tour guide that includes addresses and descriptions. Q2. Is it possible to register in advance and visit the tour locations on June 3rd without going to Walter Reed Community Center? A2. Anyone who registers online by Friday, June 1 at noon will receive the tour booklet with locations and descriptions via email. After June 1 at noon all registrations must be done on-site at Walter Reed Community Center on June 3rd between 12:30 and 4 p.m.
Q3. If I sign up on-site for the tour at 4 p.m., will I still be able to visit all the homes and gardens? A3. Tour participants may start the tour any time between 12:30 and 4 p.m., however, it should be noted it takes on average 40 to 50 minutes to visit each location. The typical tour participant visits four to six locations during the four-hour tour. Q4. Is there a bike tour being offered as part of the event this year? A4. The bike tour will not be available for this year’s home and garden tour. Q5. Is the tour recommended for families and children? A5. The Green Home and Garden Tour is a family-friendly tour. We ask that all attendees are respectful of other tour participants, ensure all children are supervised and do not disrupt the others participating in the tour. Q6. Will information be available about the companies that executed the work on the homes and gardens included in the tour? A6. A small number of companies that designed homes and gardens included in the tour will be present at the tour sites. The Union of Concerned Scientist, Co2oler Smarter: Practical Steps for Low-Carbon Living.